The goal of the Winston-Salem Community Bike Ride is to bring together people of all ages and abilities who share an interest in biking, and to create a welcoming recreational ride for everyone, while building a strong bicycling community in Winston. But how would you encourage people of different ages to bike together? Different people have different preferences like different routes to bike on, prefered climate etc. So it is very important for our clients to understand these different aspects and then decide on the time, route, weather for the bike ride. 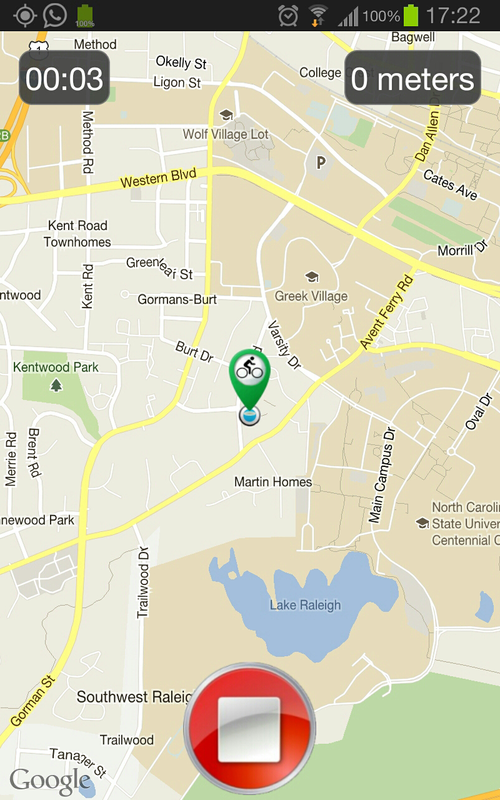 This is where our Android app comes in. 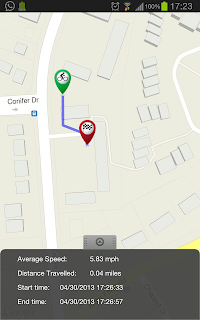 Our android app facilitates recording of bike rides, the weather in which ride was taken, average speed of the ride, distance travelled and the path on which the ride was taken. All this captured data is then stored on our client's server machines. Once appreciable data is captured, our client can develop analytical tools to make sense out of this data and find out biking patterns. Result of this analyses will help our client to make informed decisions on which is the most popular places which people like to bike, what time of the day people prefer biking and the most prefered weather. This will furthur encourage more people to join the biking movement. In this application, users can record the trips. 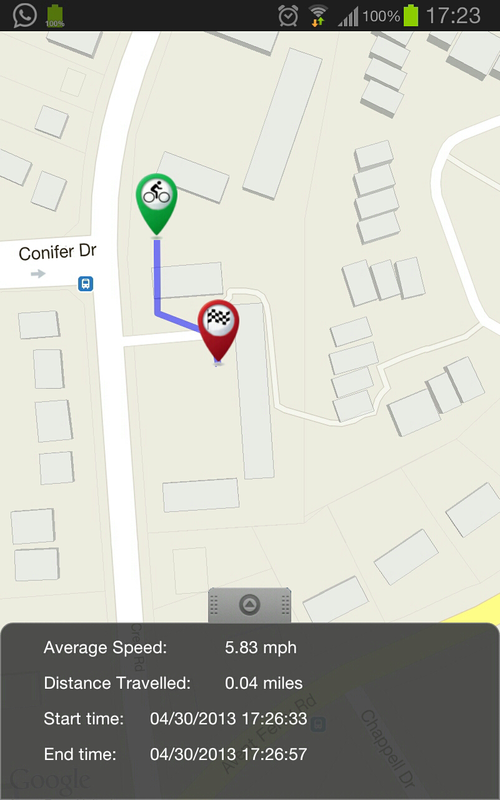 They can also see the history of their rides recorded with our application. We have also provided an exciting feature of heatmap. It traces all the trips taken by the user on a single map. We have also provided an weather API which gives 5 hours of weather forecast. 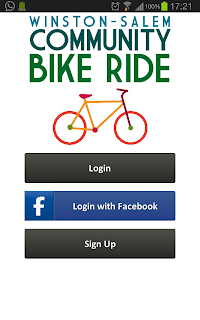 To include the social aspect, we allow the user to login into our application through facebook.